Dr. Helmut Mothes, Bayer Technology Services GmbH, and Prof. Dr.-Ing. Wolfgang Peukert, Engineering of Advanced Materials Cluster of Excellence (right) sign the cooperation agreement. The Engineering of Advanced Materials Cluster of Excellence -– Hierarchical Structure Formation for Functional Devices (EAM) at the Friedrich-Alexander University of Erlangen-Nuremberg (FAU) signed a cooperation agreement with Bayer Technology Services GmbH (BTS) on 9 July 2010. The central aim of the agreement is basic research into modern high-performance materials with tailored properties. These will have a key role in fields of innovation such as information and communication technology, catalysis, and energy, environmental and automotive technology. The cooperation agreement concerns two projects in which basic issues surrounding the development of new production technologies are being researched. The larger of the two projects looks into the technical production of opto-electronic components such as light diodes, solar cells, thin-film transistors and sensors based on functionalised particle systems. The second project, meanwhile, researches the development of a new catalyst morphology that, as well as being highly active, also stands out because of its high mechanical stability and low tendency to deactivate. 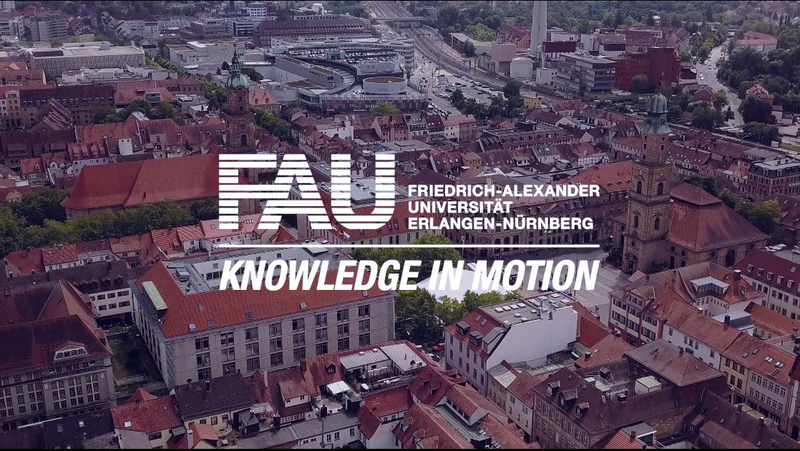 FAU scientists from the Chemistry, Chemical Engineering, Physics, Material Science and Electronics departments are collaborating on these projects with experts from Bayer Technology Services. The overall funding for the projects is two million euros over a two and four-year period respectively. Costs will be assumed on a 50-50 basis by the German Research Society and Bayer Technology Services. Cooperation with Bayer Technology Services is a further step towards the transfer of technology within the framework of the Cluster of Excellence. We have already acquired BASF and Südchemie as strategic partners – a clear indication of the programme’s success and the cluster’s expertise. For the cluster and its industry partners, the strategic alliances provide the ideal platform for combining the interests of pure academic research with practical application. Organising the joint research projects in process chains makes it possible to kill two birds with one stone: interdisciplinary collaboration within the cluster is further improved, whilst innovations with a high market potential are sought. The EAM Cluster of Excellence at the University of Erlangen-Nuremberg works on the research and development of innovative materials whose structure is organized hierarchically, from a molecular to a macroscopic level. Research into innovative applications in the areas of nanoelectronics, optics and photonics, catalysis and lightweight construction is carried out by eight departments at the university, external institutes and industry thanks to new collaborative ventures. The EAM Cluster of Excellence was awarded five years of funding starting in 2007 as part of the German Excellence Initiative. A total of 45 million euros has been earmarked for research by both industry partners and the Excellence Initiative.